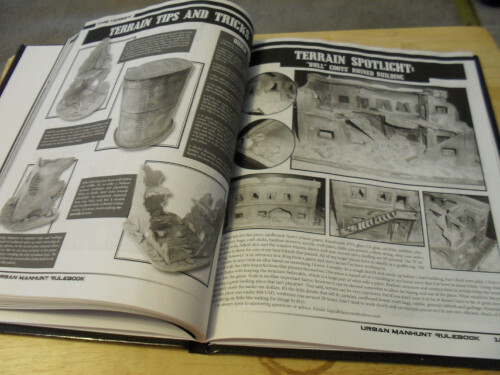 Spectrum Games is proud to announce that Urban Manhunt: the Miniatures Game is now available as a 132-page hardcover book. 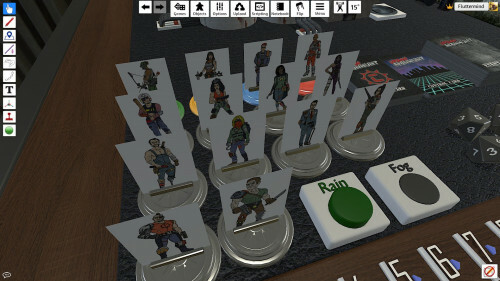 Urban Manhunt is a tabletop miniatures game that depicts a harsh, violent sport of the dark near-future (as seen through the lens of 1987). 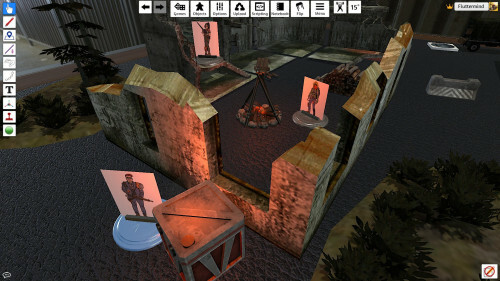 Each player takes on the role of a hunter, a highly trained and larger-than-life mercenary who scours sectioned off parts of prison cities, eliminating convicts (called crims) for points. The hunter with the most points accumulated when the time limit expires wins the match. You need only one miniature in order to play… and it can be practically any miniature you own, thanks to the extremely comprehensive hunter creation system. So grab your model and step into the zone! 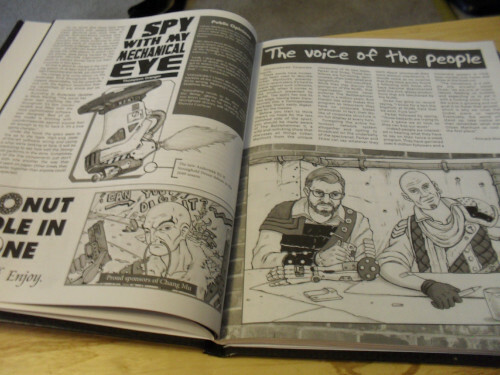 $11 for the PDF is very tempting. $26 for the hardcover and the PDF... I'll have to see is any of my gaming friends are interested. How much of this book is art and flavor text? Many chapters end with a short piece of fiction as well (1 page or less). 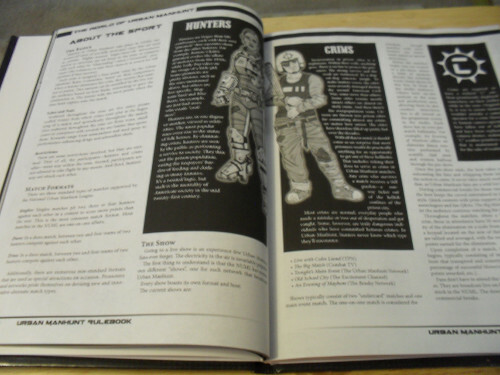 I wanted to share some photos of the book itself. Sounds well worth it for the flavor, to me. Thanks! And ordered. 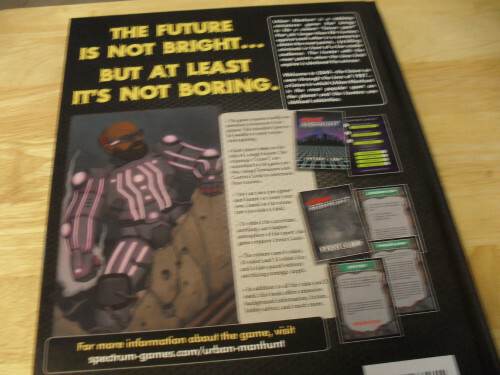 I've been skimming through the intro section of the rulebook and it is exactly what I was hoping for. Thanks! Thank you very much. That means a lot to me. Enjoy! 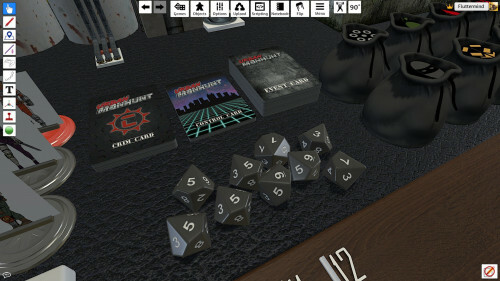 Spectrum Games is pleased to announce the release of the print-on-demand Control and Crim Cards for use with Urban Manhunt: the Miniatures Game. This box offers 14 Control Cards and 30 Crim Cards. 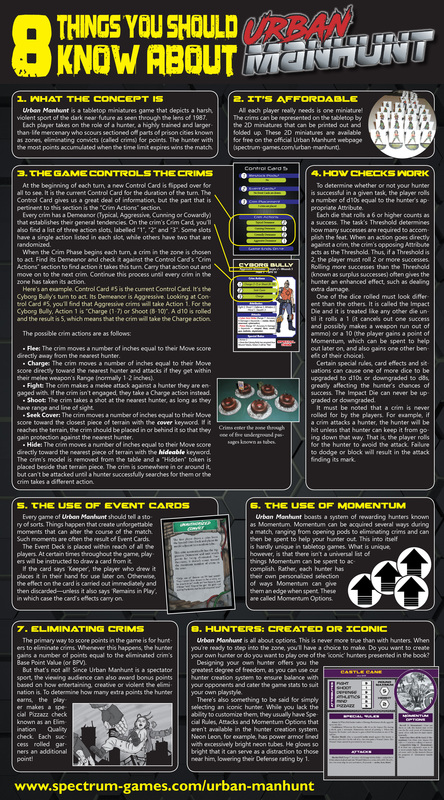 Control Cards perform numerous functions in the game, ranging from time-keeping and pod restocks to Event Card draws and crim control. 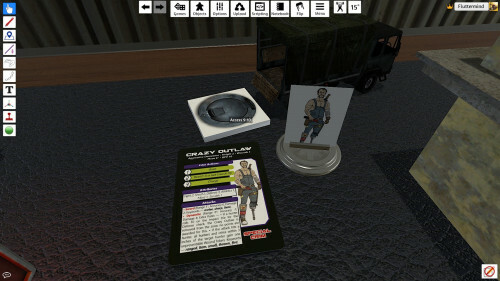 Speaking of crims, the Crim Cards are used to determine which type of crim enters the zone when the time comes. 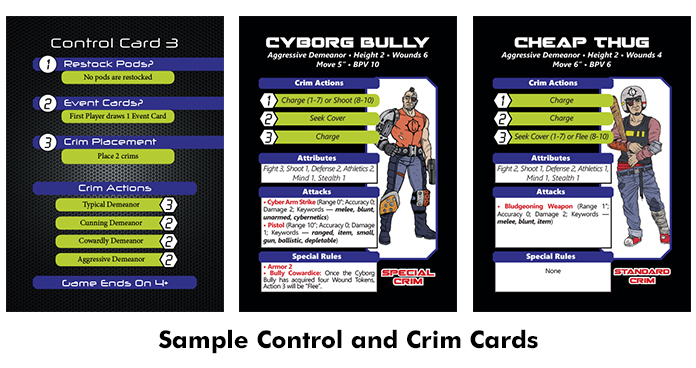 Furthermore, each card presents the complete stats for the crim it represents. Do you have a How to Play video? One is actually being worked on as we speak. In the meantime, I'm happy to answer any questions you may have. 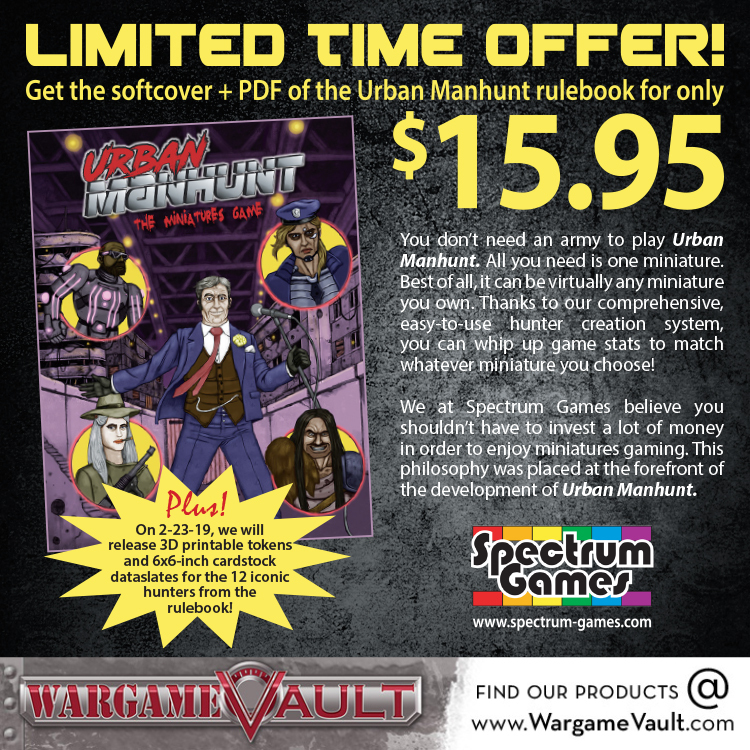 We have released a bundle that collects both Urban Manhunt card packs for a discounted price. 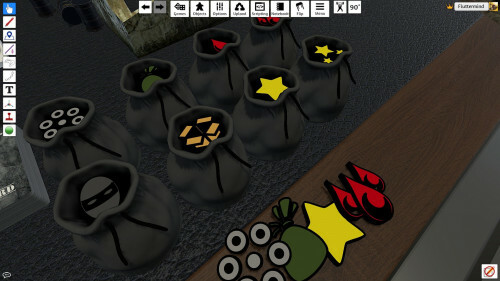 This will give you all the printed cards you need to play the game! The markdown is $6 (or 22%)! I got a game in with Highlord Tamborlane and Barzam. It took a while to get the hang of the rules, but by the third turn it was pretty smooth. The cards are essential, so I spent some time printing, copying onto card stock and cutting them. Between all the cards and the abundance of choices during the hunter creation phase, there's a lot of replay ability to the game. Anyway, Highlord won, Barzam came in a close second, and I came in...dead last. 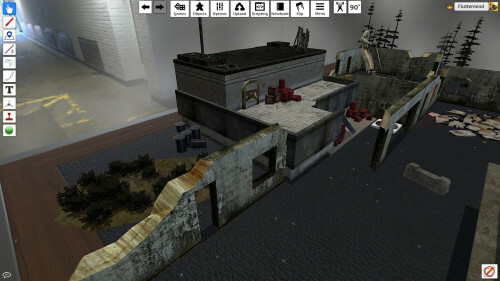 Here you can see the tubes and pods that deliver crimes or reloads. 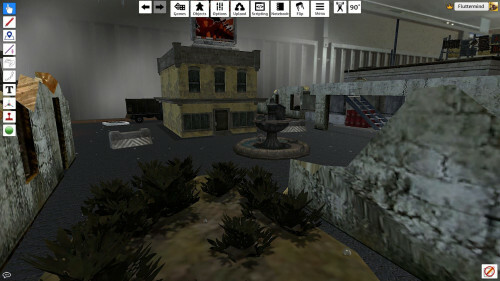 There's also dangerous terrain in the form of a radiation zone, an acid spray and the flamespud. They make chasing crimes, and knock back attacks, potentially more interesting. 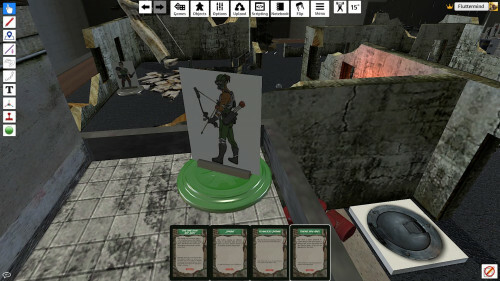 The sniper hidden in this tower survived the entire game and managed to give each of us two wounds. Not only has she paid her debt to society in full, but we feel she would make a great hunter in the next game. I apologize for not responding sooner For whatever reason, I don't seem to be getting email notifications for my threads. At any rate, I'm happy to see the photos and hear about your match. 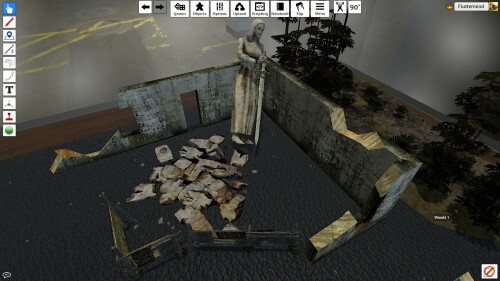 I hope it's the first of many visits to the zone. 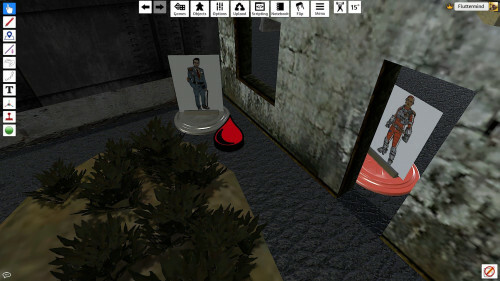 And, yes, Stealthy Snipers can be pesky as hell once they get dug in. 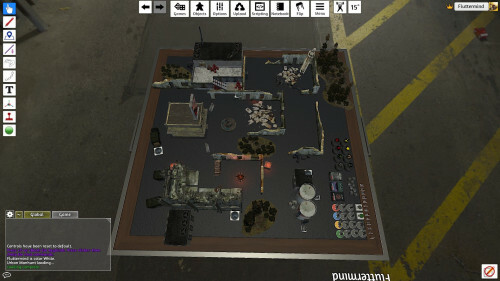 Thanks to uber fan Nicolai Østergaard, Urban Manhunt will be playable on Tabletop Simulator very soon. 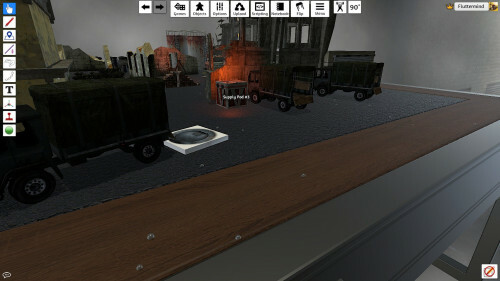 I'm attaching some images to show you how it's going to look. More details soon! 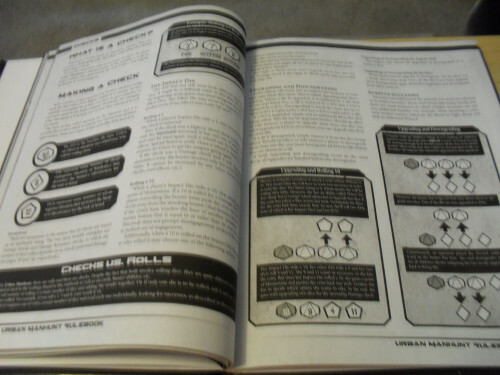 One of the struggles of getting into a new miniatures game is that it may not be too easy to find new players locally. 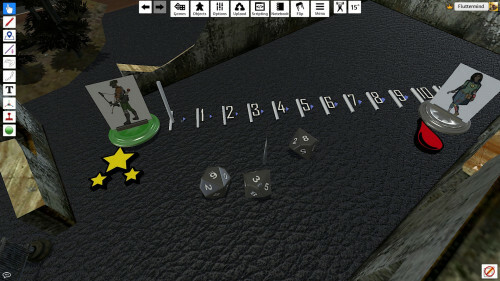 Being able to use Tabletop Simulator to play removes this hurdle.